Located in south Kerala, Somatheeram is one of Kerala’s original Ayurvedic resorts, established more than 30 years ago. Nestled amongst coconut groves, lush tropical gardens with extensive sea views, you can relax and feel the breeze, as you embark on your wellness journey. The award winning Somatheeram provides each guest with a clear programme following the arrival consultation with the resident Ayurvedic doctor. Usually a minimum of 7 nights is required so that one can really feel the benefits of the programmes. The team of doctors are all well versed in Ayurveda, ‘the science of life’ which uses natural herbal medicines, warm oil therapies, yoga and diet to help restore the balance in one’s mind and body. At Somatheeram, a range of treatments and therapies are offered including basic massages, Pizhichil, Njavarakizhi, Sirodhara, Vasthi, Sirovasthi, Udvarthanam, Abhyangam, Nasyam, Thalam etc. Yoga is also used to help enhance the wellbeing of both the body and mind, with daily yoga classes, there is also the infinity pool to enjoy. In addition to having an Ayurvedic experience, Somatheeram provides a beautiful setting in which to heal. This is an Ayurvedic clinic with a wonderful resort like ambiance. If you would like to deepen your understanding of Ayurveda, various courses are taught at Somatheeram by local experts. 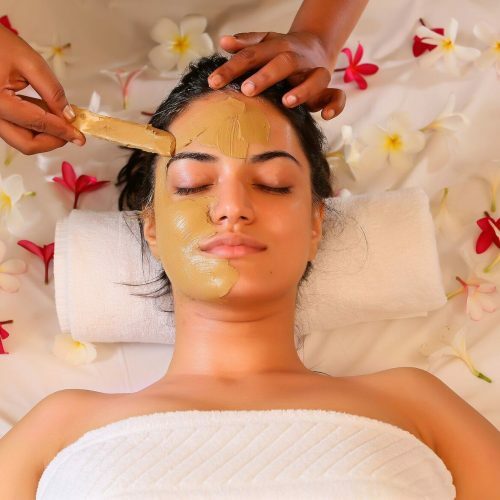 Somatheeram has 20 well- experienced Ayurvedic doctors, 90 Therapists with special training in administering Ayurvedic treatment, 30 treatment rooms, medicine manufacturing unit, herbal garden and an ayurveda academy. There are 06 room categories classified as Standard Room, Garden Cottage, Special Cottage, Kerala House Standard, Kerala House Deluxe (AC) and Kerala Deluxe Suite (AC). The sea facing Restaurant provides a choice of about 250 different Ayurvedic vegetarian dishes, salads and juices. However non-Ayurvedic multi cuisine is also available and the menu can be customized to include favorites and have spice levels adjusted according to taste. However the focus of the cusinie is very much fresh, local and healthy. The restaurant offers dishes specially creates by the resident Ayurveda doctors that are purely vegetarian and with healing benifits, depending on the individuals specific body type. 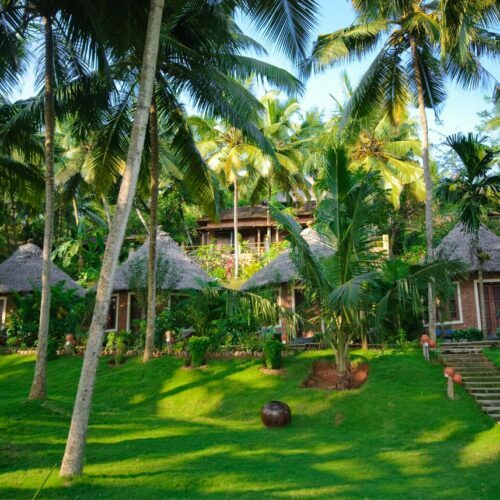 The resort is also at hand to arrange backwater and village tours, Soma backwaters houseboat day trips, Cattamaram excursions out to sea, Thiruvananthapuram city tour, Kovalam beach town tour, and the Amma Darshan (Amrithanandamayi Devi) pilgrim tour - all as part of their optional activities. Nearest airport is Thiruvananthapuram which is 26 kms / 30-45 minutes drive.